Mercedes-Benz Museum | Let's Go for a Trip! Sprawling over nine levels and 16,5000 square meters, the Mercedes-Benz Museum will fascinate you with 160 vehicles from the past 125 years. You will start the tour from the top floor and as you go down, you will see the cars that were produced from 1886 through to the present year and what was happening around the world in those years. Visitors to the museum can also visit the Untertürkheim engine plant where engines, transmissions and axles are manufactured. The tour is around 90 minutes and cost €4 per person. 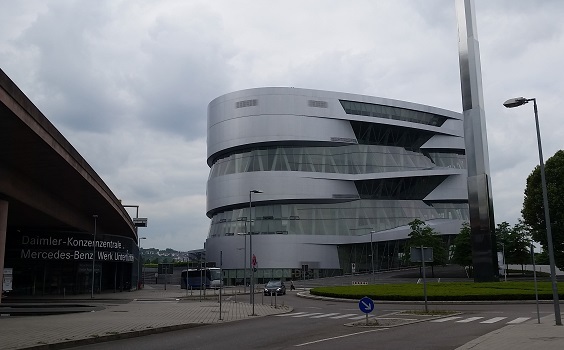 Opening hours of Mercedes-Benz Museum : 9am to 6pm Tuesdays to Sundays, closed on Mondays.